At a retail tasting a couple days ago, I encountered a wine on the shelf that was advertised as being ‘THE wine of summer 2012’. Seduced by such an intriguing pitch, I couldn’t resist. I just had to taste it. The wine was indeed tasty. It had all the classic aromas of this variety: savory herbs, lemon citrus, thyme and white pepper, dry on the palate with more notes of savory herbs, lemon zest and a pleasing streak of minerality. Yet when so classic in profile, how could it be the summer wine of 2012? Why differentiates this wine from any other?? The reason may lie with the packaging. The wine comes in a one-liter bottle at a very attractive price (25% bigger than a standard 750 ml) and comes crown-capped (like a coca-cola bottle), which makes it picnic perfect for more people … ultimately, more bang for the buck (25% less expensive). 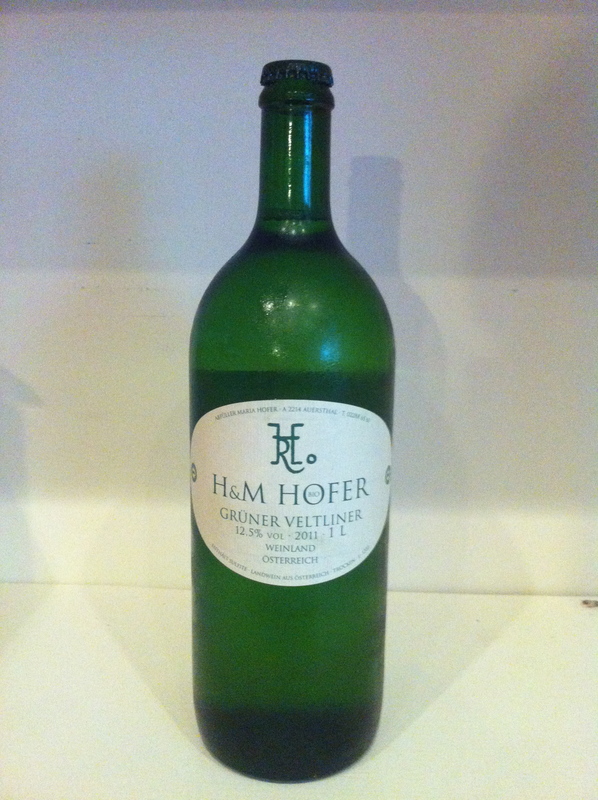 And there are other unusually packaged Gruner Veltiners out there of amazing value. 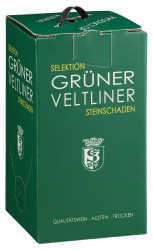 Steinschaden Grüner Veltliner Bag-in-Box comes in a little green box that holds the equivalent of two bottles, or 1.5 L, for the price of one! Plus it stays fresh for months in the fridge if you are more likely to drink only one glass a week, rather than a bottle a day. Oh, and the wine is delicious to boot.